Due to its size, this article is a two-part release. You are currently reading the first part of the article (released 8/14/13) and can read the second at 10 AM on 8/15/13. In May of 2013, Edward Snowden leaked information on the National Security Agency’s massive surveillance infrastructure. These leaks have illustrated much about the scope and scale of the federal government’s ability to spy upon those it sees as a threat—both foreign and domestic. Despite the fact that many had already posited the existence of such expansive surveillance programs, Snowden’s leaks confirmed these peoples’ very worst fears and have prompted the start of several large debates. Primary among these debates, are those over the Constitutionality of the programs, the trade-offs between security and privacy, the complete lack of transparency and accountability which comes with a regime of secret laws, and the potential for abuse by those in power. The NSA has used an interpretation of section 215 of the Patriot Act and a series of secret rulings from FISC (the Foreign Intelligence Surveillance Court) to justify the creation of a massive digital surveillance web. The NSA’s surveillance web consists of numerous programs, designed to serve different purposes. Some of these programs (ex. Blarney) focus upon gathering metadata (time/location/length of call), while others (ex. PRISM) are aimed at collecting the actual content of peoples’ communications and browsing. Using its surveillance programs, the NSA warehouses vast amounts of digital information that they can go through later. It is impossible for the NSA to cull through the sheer amount of information that they have obtained in aggregate, but they do have the ability to search for specific peoples’ information if they have identified a target. The NSA and intelligence apparatus concealed the existence of these programs from the public and the accountability of Congress. To further this concealment, James Clapper—the Director of National Intelligence—lied to Congress. Approximately half a million American intelligence analysts and private intelligence contractors (like Snowden himself) have access to the NSA’s intelligence matrix. These people can access the data in the NSA’s collection without having to show a warrant or even that an investigation has been launched against the person who they are inquiring about. Edward Snowden revealed the existence of these programs, even to members of Congress, through leaking documents regarding its operation to Glen Greenwald of The Guardian news service—he did not sell the information for a profit, has no ties to foreign intelligence services, and is currently being charged with numerous felonies. With the establishment of these facts to act as a point of reference, I will now begin discussing several of the major issues that have emerged due to the NSA programs. In the beginning of this discussion, it is important that I make it clear that the NSA’s spying program is not constitutional, even if it hasn’t crept into other sectors of the government. The fact that it is gradually creeping into non-terrorism related areas of governance only makes a bad and unconstitutional program that much more dangerous. 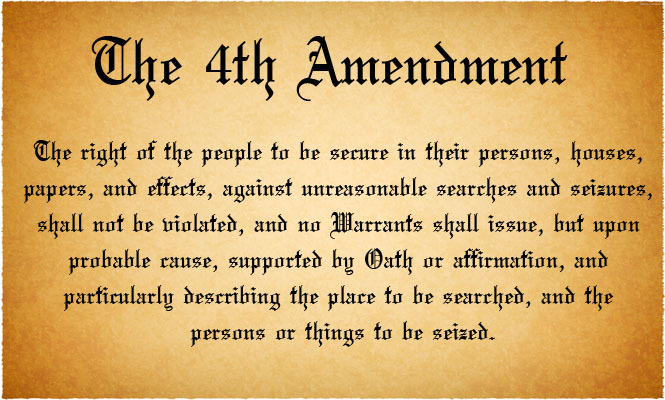 There are no exemptions in the 4th Amendment for terrorism investigations and taking a shortcut across the Constitution is illegal regardless of the intent. If somebody wants to argue that the NSA spying is necessary for defense or a vital part of our anti-terrorism efforts, that is another argument entirely—if they support this point, then they have every right to suggest changes to the Constitution, but, until then, they are supporting an unconstitutional program. At the outset of creating their spying matrix, the NSA essentially destroyed the 4th Amendment and made an absolute mockery of the requirement for specificity in the application for warrants. In effect, the NSA successfully argued that everybody is a potential suspect in terrorism investigation, thus they need the ability to access everybody’s information—this argument is ridiculous, but was successful because it was heard by a court designed to rubber-stamp spying, in secret, with nobody arguing the other side of the case. When the government obtains what it sees as an effective tool, it tends to want to use it for everything that it can think of—imagine the institutional equivalent of the man who goes to the hardware store and gets that shiny new power tool, only to end up using it for a bunch of projects that are completely unrelated to the initial reason for buying the tool. The NSA’s ability to capture vast quantities of information is undeniably a very powerful and versatile tool that could be applied to numerous purposes by the government. Mission creep is a military term for this overreaching effect. Once a long-term mission starts, it can sometimes expand to the point where the result is dramatically larger than the original mission—this can even lead to a war drifting into other countries or going from a limited engagement to a full one. The NSA’s spying may not be a military program, but there term “mission creep” is extremely applicable. When the NSA first started their surveillance programs, they may very-well have seen them as necessary for national security and only usable against terrorists. In fact, they still often use the justification that the NSA’s programs exist only to protect us from terrorism to explain away why the program are secret and how they can so-obviously infringe upon our 4th Amendment rights. Unfortunately, the NSA’s surveillance apparatus is a very tempting new tool for a wide variety of government applications. Because of this, it is very likely that significant “mission creep” will occur (or already has occurred) with the NSA’s spying program. The FBI could spy in on somebody’s internet browsing history and emails in order to make a case. ICE could access emails in order to track smugglers. The IRS could use digital transfers of funds and communications to track tax-cheats and make cases against those who hide money abroad. The DEA could use digital communications and sales records to track drug dealers, traffickers, and growers/cooks. Given the scope and power of the NSA’s program, virtually every federal regulatory and law-enforcement agency could use the programs to great effect. In addition to being used by other agencies, the NSA’s shifting definition of the term “terrorist” present a very real danger that non-violent individuals will be considered legitimate targets under the original intent of the program. The term “terrorist” has become dramatically expanded in recent years and has morphed from a term describing those who want to fly planes into buildings to one including people who protest oil pipelines by drawing on buildings with chalk. 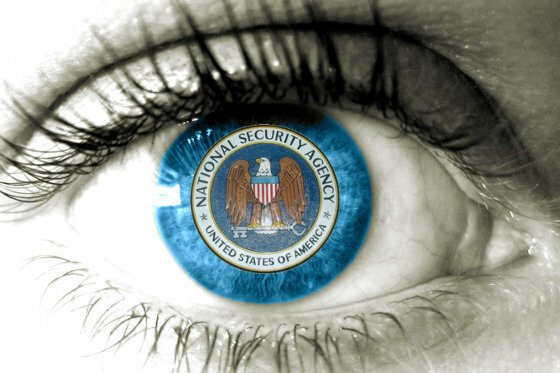 It is entirely possible that the NSA’s anti-terrorism program will one day cover virtually everybody who is vocally discontent with the government—this isn’t to say that I think that people will be rounded up and put into FEMA camps (a pure delusion by the right wing), but it is likely that they will be watched and struck down if they stick their neck out. Put plainly, once the NSA’s spying matrix creeps over into other agencies, the American peoples’ expectation of privacy no longer exists and the 4th Amendment becomes little more than words on a page. Without the flimsy excuse of “fighting terrorism” to hide behind, such uses of the program leave us with no ambiguity that our 4th Amendment is dead and the government is spying on anybody it feels like. Unfortunately, it appears that the NSA’s program has already crept to some degree and that the DEA is already utilizing information from the NSA’s secret spying to prosecute drug crimes.